Future Group, led by Kishore Biyani, has continued its buying spree by acquiring Sangam Direct chain of grocery stores from Wadhawan Holding. This move can be marked as the company's effort to dominate the grocery segment of the country. Wadhawan Holding, a company owned by the promoters of Dewan Housing Finance Corp., has sold around three dozen stores network to Biyani through a lease transfer, revealed a source. 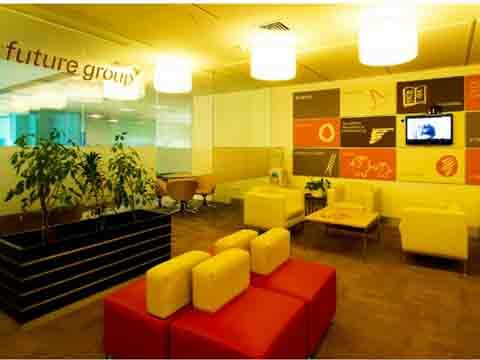 However, Future Group's spokesperson has declined to comment anything on the development by stating that Group does not react to market's speculations. Wadhawan operate the stores under Sangam Direct (that was earlier known as Sabka Bazaar stores) in Delhi NCR and in Bengaluru. The sources said Sangam Direct business has a revenue of about Rs 100-150 crore. Prior to this acquisition, Future Group has acquired south-based Nilgiris Chain, Big Apple in New Delhi and Bharti Retail's Easyday and now, it has taken over Sangam Direct hence, making it group's fourth acquisition within a short span of time. Future Group is in advance talks to acquire the retail business of Hyderabad-based Heritage Foods Ltd. Hyderabad-based Heritage Foods operates two flagship divisions — dairy and retail — and has interests in small businesses, including bakery and animal feed. Retail accounts for nearly a fourth of the overall business, with sales of Rs 583 crore, up 18 per cent last fiscal.